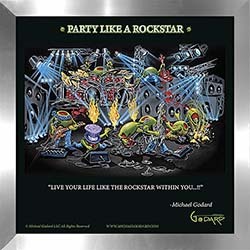 Known as the “Rock Star of the Art World”, Micahel Godard had artistic talent flowing through his veins from a young age. 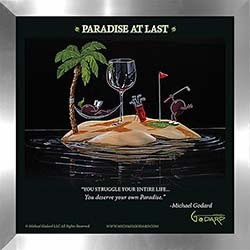 Michael Godard attended the University of Nevada in Las Vegas for Fine Arts and then eventually The Art Center College of Design in Pasadena, California. 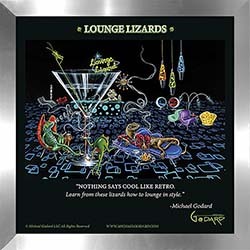 Despite Godard’s rough appearance, it takes but one look at his artwork to realize that he is an extremely skilled and prolific artist. 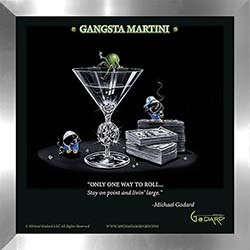 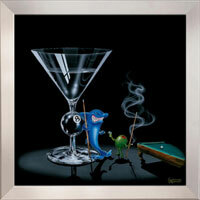 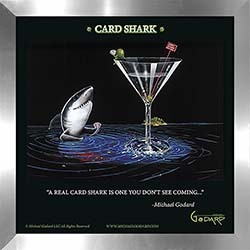 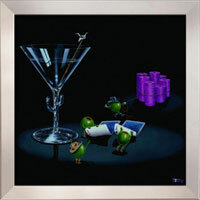 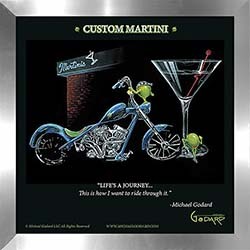 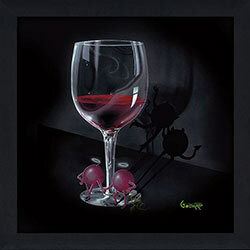 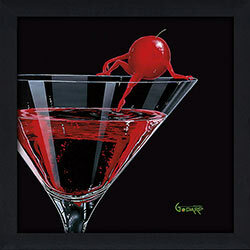 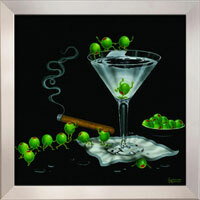 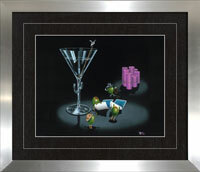 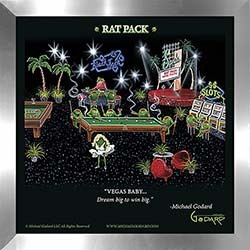 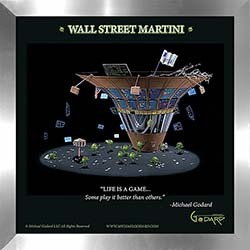 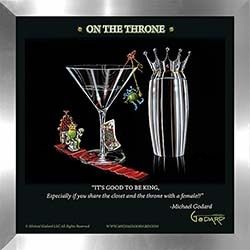 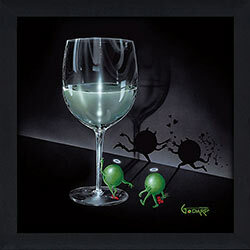 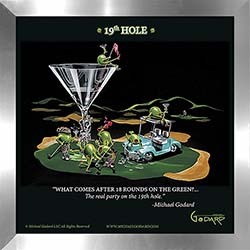 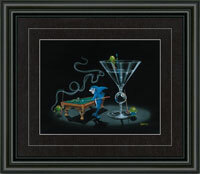 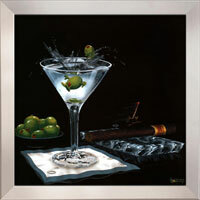 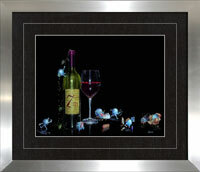 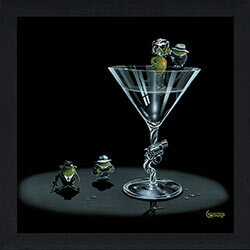 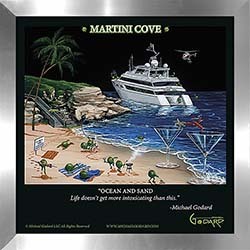 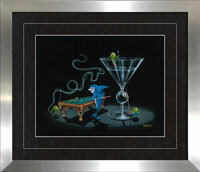 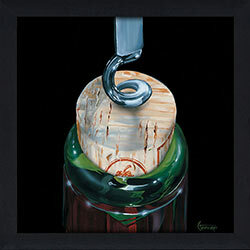 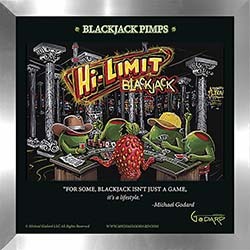 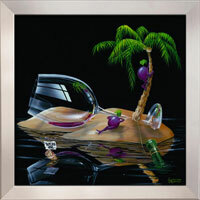 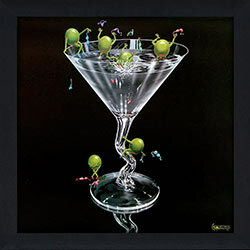 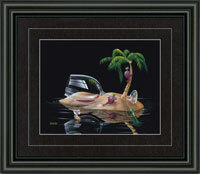 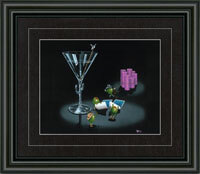 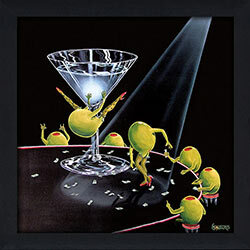 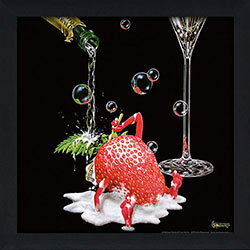 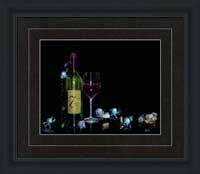 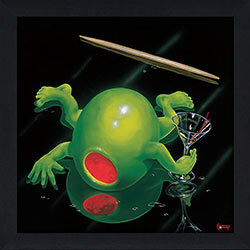 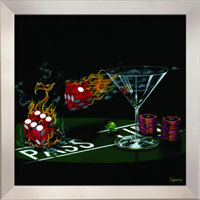 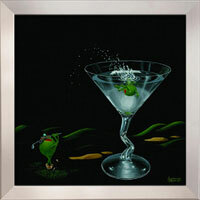 Michael Godard has pioneered his own unique style which he likes to call “Martini-Art”, as his works typically feature Martinis and various other Las Vegas casino inspired scenes, stocked with animated olives, swinging strawberries and drunken grapes; a humorous and satirical portrait of ourselves. 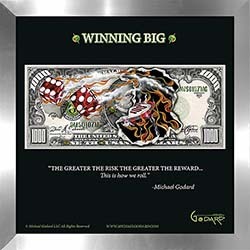 Michael Godard and his works have been featured on various television programs, like HBO’s Cat House, A&E’s Criss Angel Mind Freak, American Casino, Inked and plenty of others. 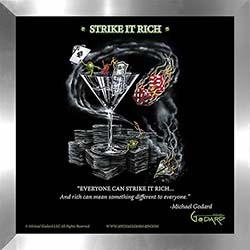 Michael Godard’s work has since become highly sought after by movie stars, musicians and private and public collectors alike. 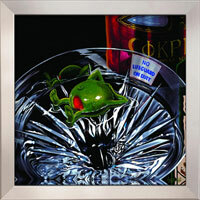 In fact, his paintings have even made their way into the officer’s lounge of the Pentagon! 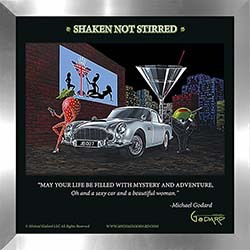 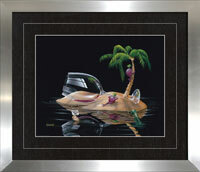 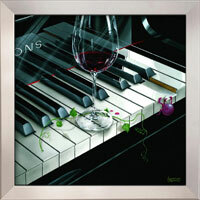 His supreme skills and subsequent publicity have made Michael Godard one of the top selling artists in the world. 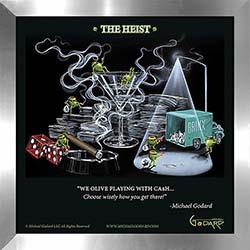 FramedCanvasArt.com is honoring the exquisite style of Michael Godard by offering a host of framed Micahel Godard art prints. 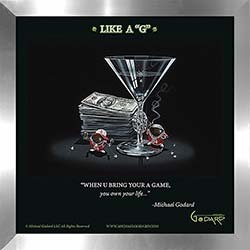 Every Michael Godard print has been carefully framed, matted and finished with a faux canvas treatment, giving the print the look and texture of an actual canvas. 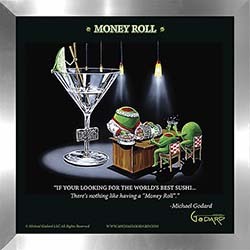 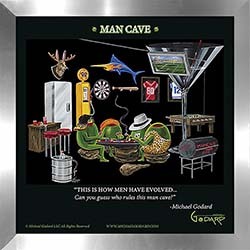 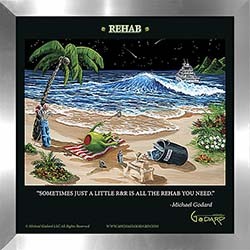 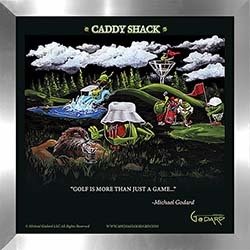 If you want to spice up the home or office with some great, light-hearted artwork, browse our gallery of Micahel Godard art prints. 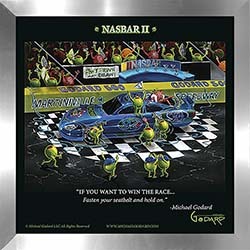 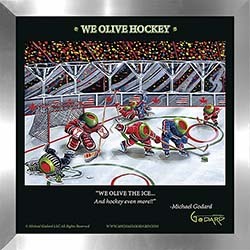 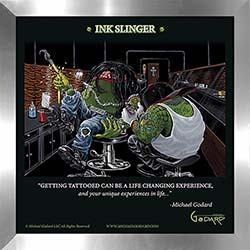 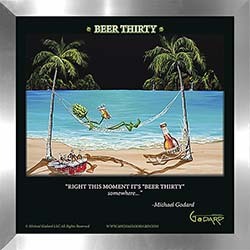 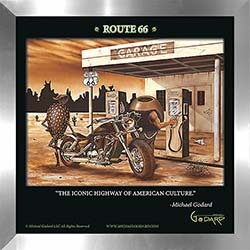 Our Michael Godard prints come in a variety of sizes and start as low as $49.98. 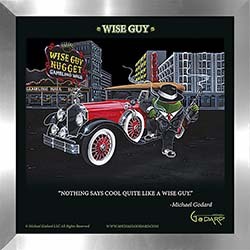 Call 1-877-480-7189 to place an order for your Micahel Godard art print today, and we will ship anywhere in North America.